Mandy, a determined mother raises her son alone when husband Adam is drafted with the Army; Ginger, a lonely new bride waits for her husband Pete’s return from war; and Rachel, young and single, rallies to start her life anew when a high-pressured job gets the best of her. 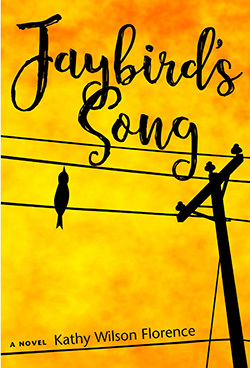 Against the backdrop of the Vietnam War, their stories begin in the early 1970s and converge almost thirty years later when a long-kept secret threatens to undo all their lives. Bridging their ties are the eccentric Millie, who mixes up vocabulary words and dabbles in the tarot; Mandy’s impersonal family that she strives to transcend; and Oodles and Poppy, Rachel’s grandparents that provide the stable grounding she seeks. 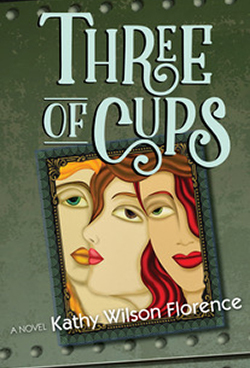 Mirthfully, “Three of Cups” is the story of the unshakable bonds of female friendships. You’ll find yourself rooting for all three. You’ve Got a Wedgie Cha Cha Cha is a collection of more than 60 favorite columns from “Over the Picket Fence, Kathy Florence's well-loved weekly column in the Dunwoody Crier. The title story is all about becoming an empty nester. The 112-page book is a delightful read of quick snippets covering day-to-day stories about being a mother, a daughter, a wife, a friend, a career woman trying to do it all. “Over the Picket Fence” appeared in the Dunwoody, Ga., newspaper for 16 years. The 112-page book is a delightful read of quick snippets.